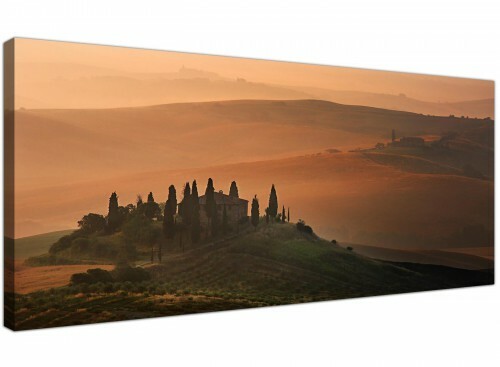 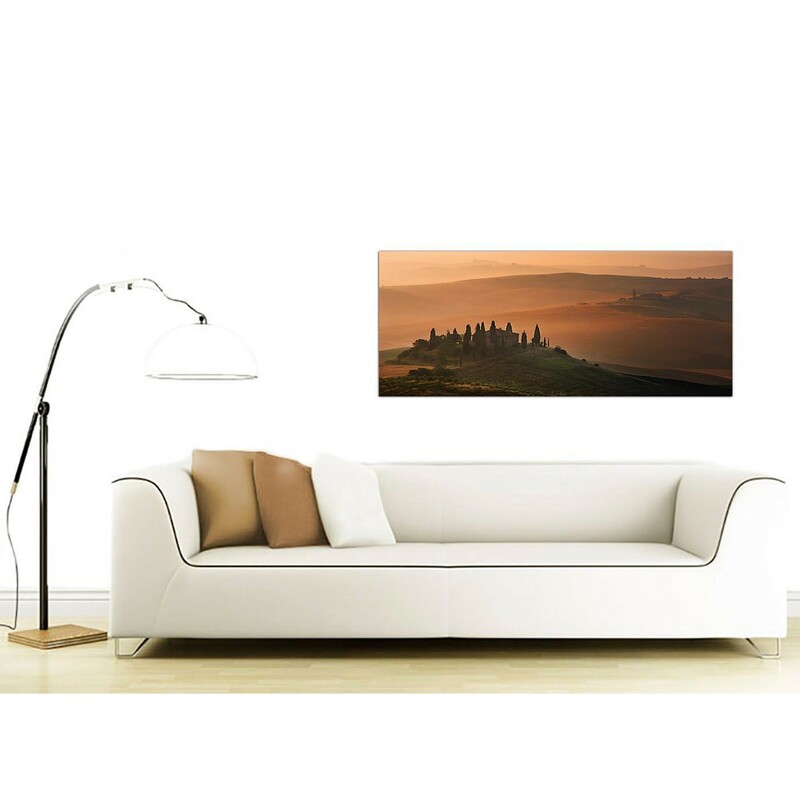 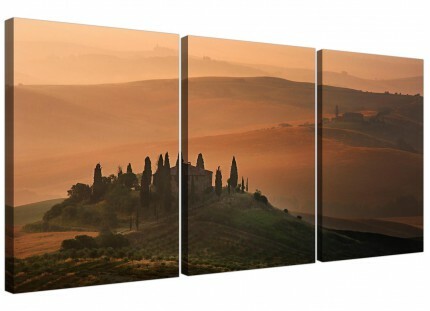 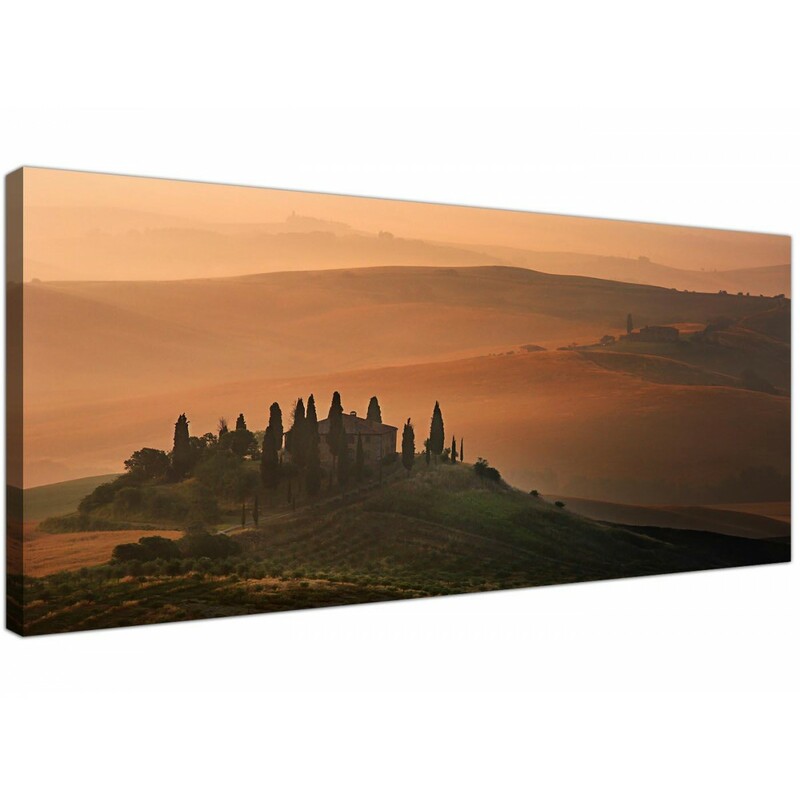 Large canvas prints of Tuscany. 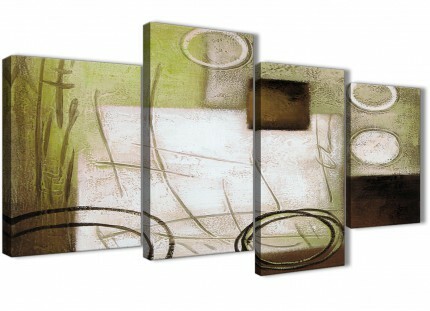 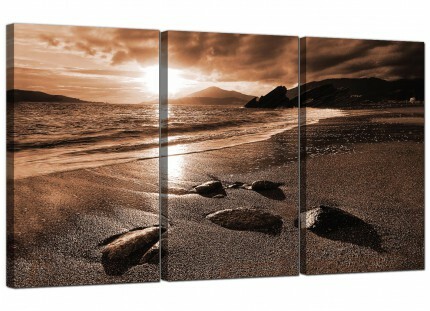 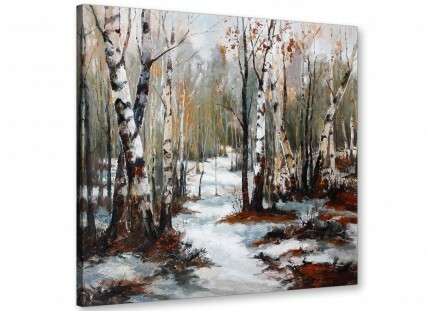 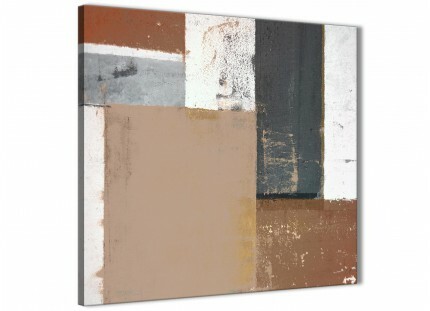 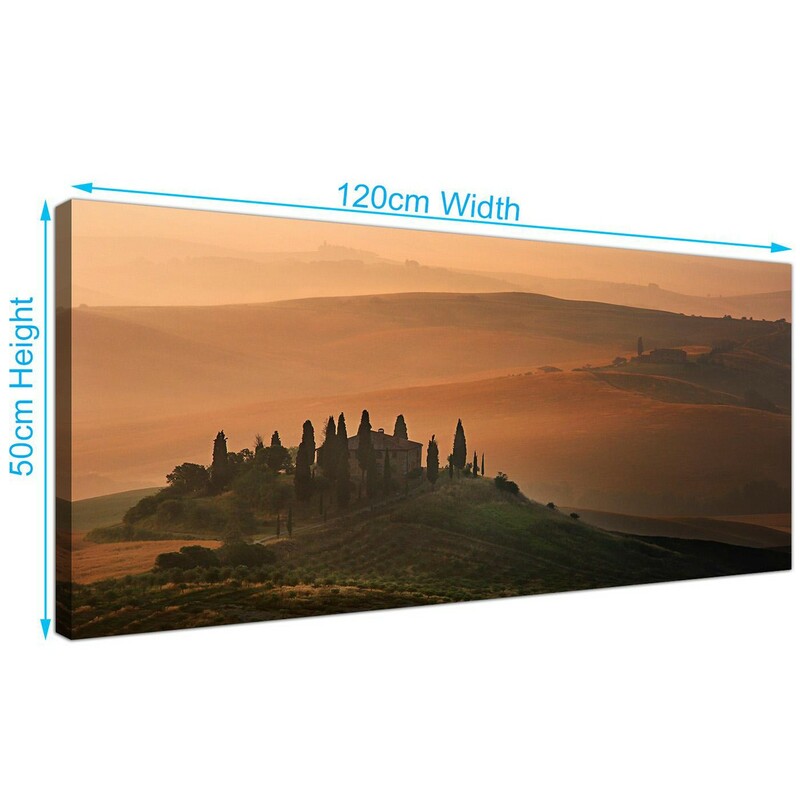 A sizeable brown trendy single panel canvas art print. 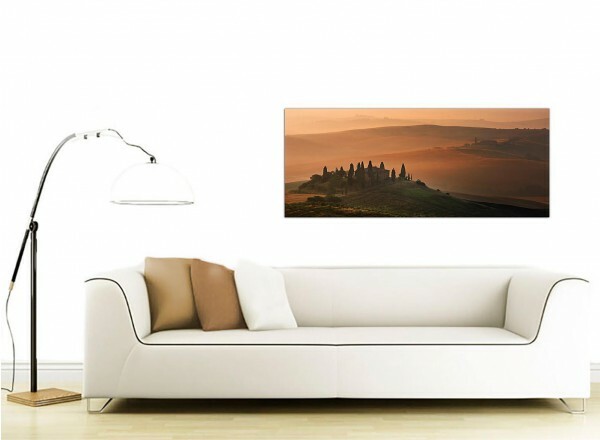 The United Kingdom's best loved wall decor brand. 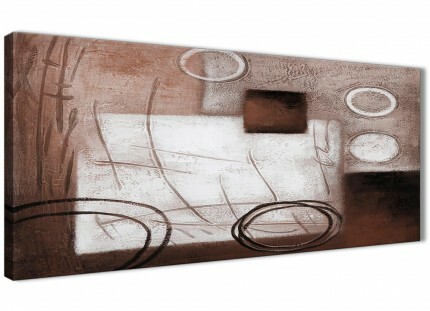 The artwork is manufactured to the highest quality with fade proof inks. 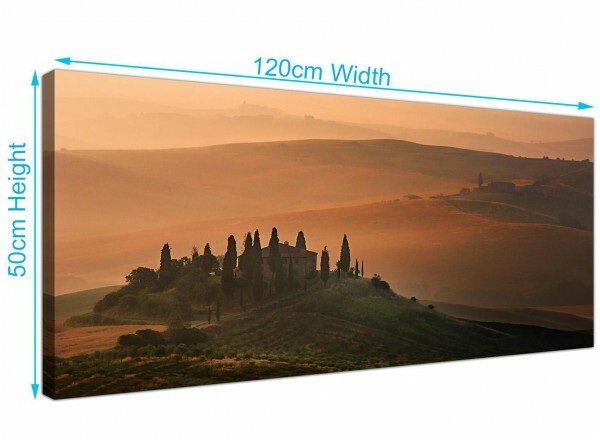 Ideal length for over the bed. Measurements: 120 x 50cm in total.